In the year 987 AD, land of this neighbourhood was given by Alfrith, or Affrith to the Abbey of Cerne - from this donor, combined with that of the river, the name of the village presumably comes. Cerne Abbey remained the landlord until the Dissolution on February 28th 1539. The manor and advowson was then granted to Sir Oliver Lawrence of Creech Grange. In 1685 John Lawrence sold the property to William Frampton of Moreton and in 1755 Edward Lawrence sold the mansion and farm to James Frampton. In 1914 Harry Frampton sold the property to Sir Ernest Debenham, after whose death, in 1952, the estate was sold in small lots. 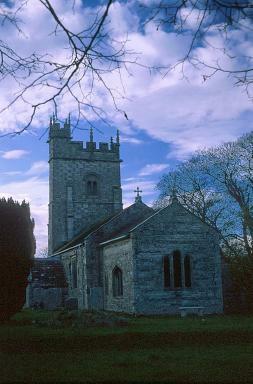 The church as it now stands is largely the result of custodianship of these landowners, one religious house and three families, who built, rebuilt and repaired the main structure over a period of close on a thousand years. The square font, of the Norman period, is on one’s left as one enters the church through the south door. 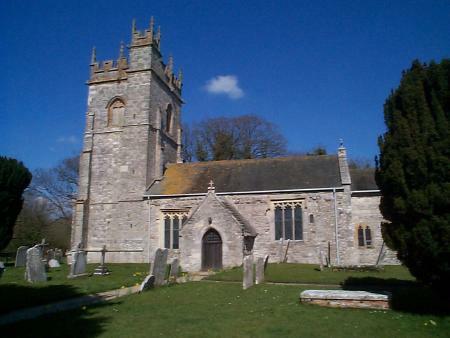 A second font, round, of similar age belonging to Turnerspuddle church was housed at Affpuddle for safe keeping when Turnerspuddle church’s roof became unsafe due to war damage, but has now been returned to Turnerspuddle. 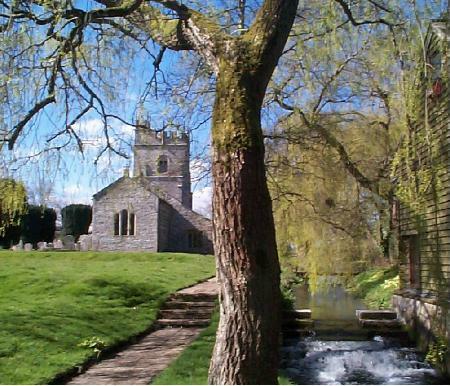 The river Piddle bounds the churchyard and Garden of Peace on the North and from the tower a wide view can be obtained of the water-meadows, the special feature of this valley and that of the Frome to the South. It was George Boswell, occupier of Waddock Farm in this parish, who made a scientific study of the management of water-meadows and who published a treatise on this subject in 1779. The little disused mill, whose race is such a feature of the Garden of Peace, has an ancient history, though the present cottage and buildings are of the twentieth-century. A mill at Affpuddle was mentioned in the Doomsday Book and again in "Proceedings of Defence of the County of Dorset" in 1799. Within the Garden of Peace is a stone seat of Portland and Purbeck stone in memory of Joan Brocklebank, a local historian, woodlander, musician, and naturalist.